Shafiq’s troubling behaviour first caught my eye in 2014 when he whipped up potentially deadly hatred against a fellow Muslim, Maajid Nawaz. 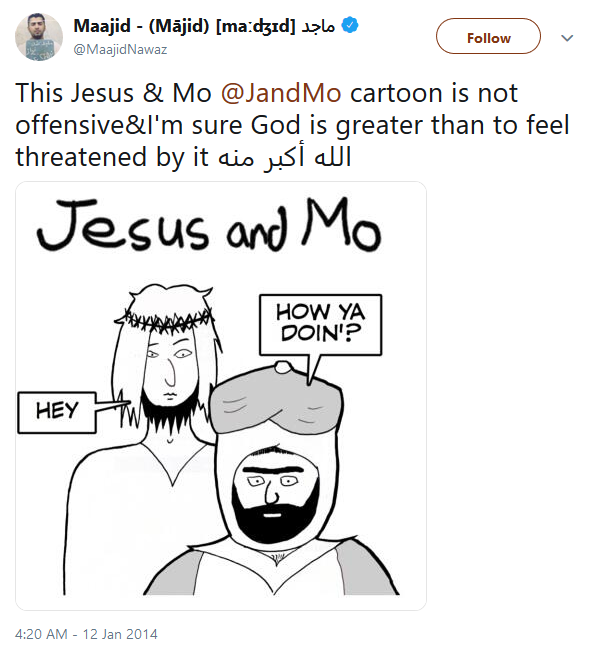 Mo Shafiq didn’t quite feel the same way about the offensive quality of cartoons and began to target Nawaz for this ‘transgression’ against Islam in the most concerning way. Rather predictably, death threats followed for Maajid Nawaz. More recently, Mo Shafiq has shared some extreme views after a Pakistani Governor named Salman Taseer was murdered. 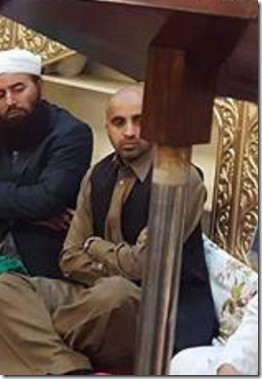 The man responsible for Taseer’s murder was his own bodyguard, a man named Malik Mumtaz Qadri. Qadri decided that Taseer’s views against the blasphemy law in Pakistan amounted to blasphemy in their own right and settled the disagreement with a barrage of bullets. Depressingly, the assasin Qadri received a significant amount of support from the faithful in Pakistan–and the UK for that matter. Shafiq tried to placate both sides on this issue with embarrassing consequences. 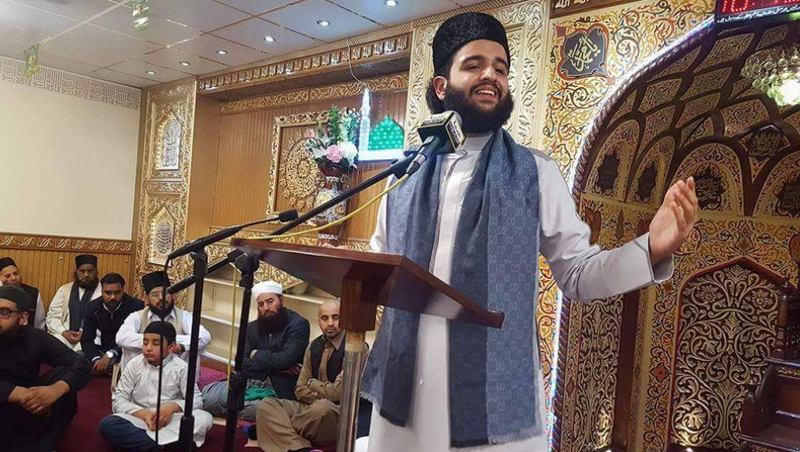 On one hand he would condemn the killer for taking the law “into his own hands”, but would also honour him with a tribute on his personal Facebook page using the Arabic phrase for ‘may God be pleased with him [Qadri]’. ‘Pleased’? For what exactly? When pushed on his position regarding ‘Blasphemy’ laws, Shafiq would only criticise their “misapplication” rather than disavow such human rights’ violating concepts altogether. He’s yet to detail exactly what a fairly implimented ‘blasphemy’ law would look like. You have to question the priorities (and sympathies) of a group of people that get this angry at hearing a Muslim terrorist being referred to as a terrorist. This brings me to another troubling episode. 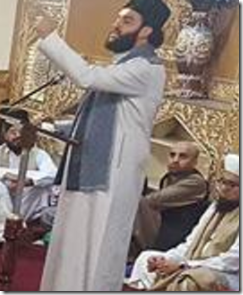 Hassan Haseeb ur Rehman is a cleric from Pakistan who, along with fellow cleric Muhammad Naqib ur Rehman called for the death of Taseer, and after they got their wish also ‘led a high-profile campaign in Pakistan in praise of his assassin Mumtaz Qadri’. 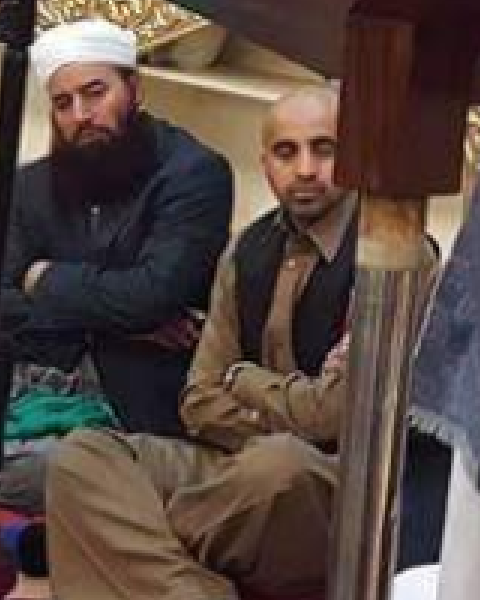 Keep in mind Mo Shafiq was well aware of the extreme views of these men before inviting them to his local mosque and before posing for this photo. 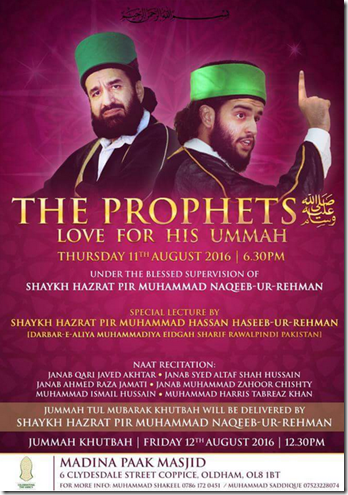 Why would Mo Shafiq promote the event of a man that advocates and celebrates murder in the service of ‘blasphemy’? 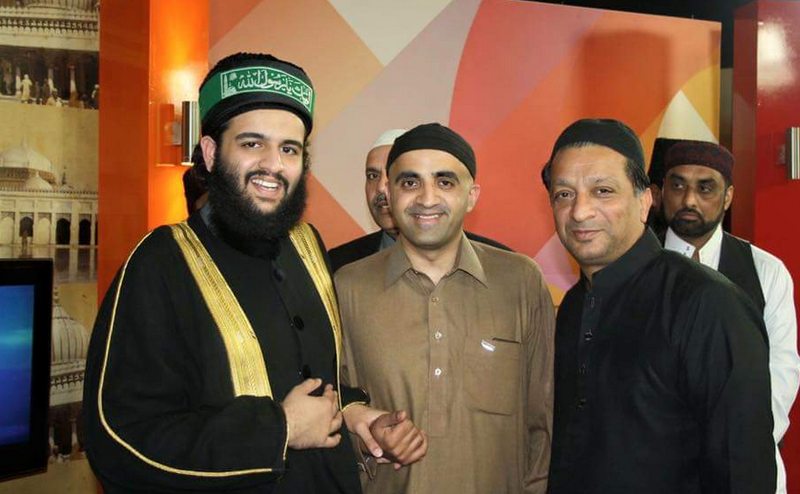 The fact that Shafiq enjoys frequent media appearances without being questioned on his support for blasphemy laws and endorsements of odious individuals such as these hate preachers is a travesty. The extreme views and behaviour do not stop there. Asia Bibi is a Christian from Pakistan who was accused of blasphemy after getting into a dispute with some Muslim women in her village. She was subsequently sentenced to death for this ‘crime’. Fortunately, she was finally aquitted of these charges in 2018, but not after serving 8 years in prision. The serious allegations have to be substantiated by compelling evidence and beyond reasonable doubt which this clearly wasn’t. 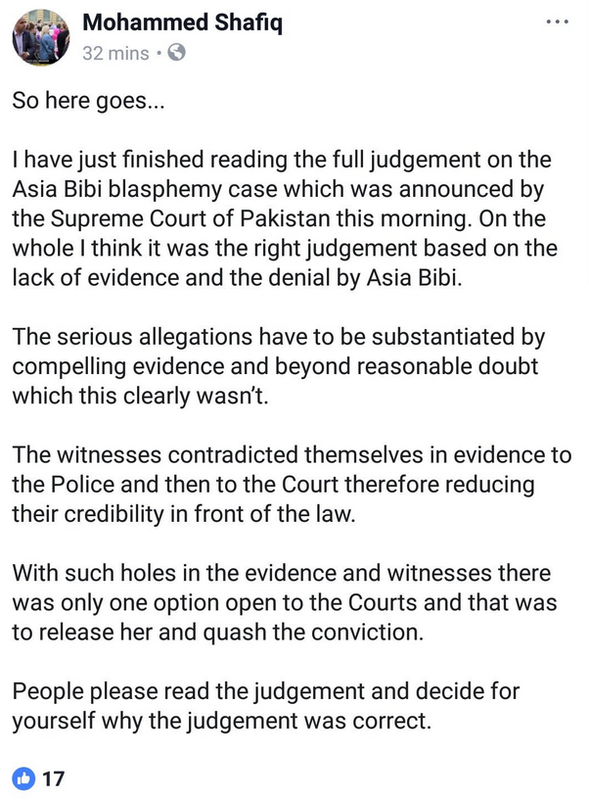 Shafiq didn’t oppose charges of blasphemy on principle, but rather asserts that “the serious allegations must be substantiated by compelling evidence”, indicating that putting this woman on death row would have been just fine, if only they had been able to produce credible evidence that she had commited ‘blasphemy’. 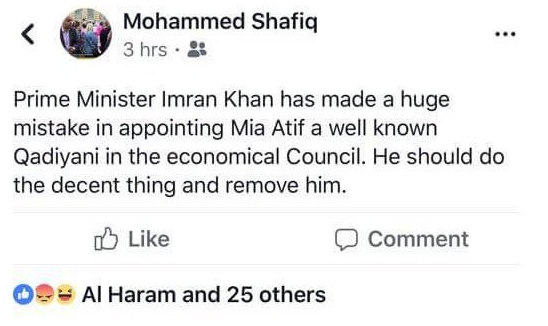 Prime Minister Imran Khan has made a huge mistake in appointing Mia Atif a well known Qadiyani in the economical Council. He should do the decent thing and remove him. 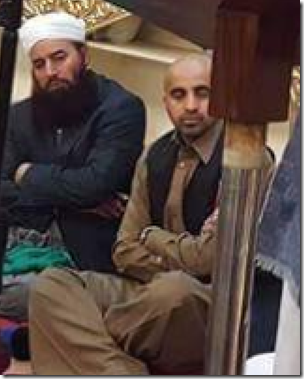 ‘Qadiyani’ is a pejoritive term used to describe members of the persecuted Ahmadi sect within Islam. 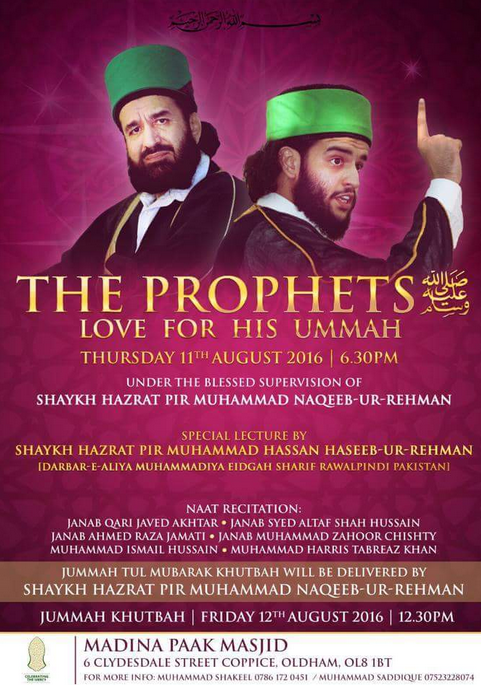 To be clear, Shafiq is demanding that someone be fired soley for belonging to this largely peaceful sect of Islam. Ahmadi minority Muslims are often considered to be apostates my other Muslims, and their mere existence can be considered act of heresy. Shafiq’s rhetoric here is akin to a non-Muslim BBC radio contributor demanding that Sadiq Khan be fired solely because he is a Muslim. So, in conclusion, Mo Shafiq is a man who will incite death threats against fellow Muslims, promote and defend blasphemy laws, demand that people lose their job for having the ‘wrong’ faith and roll out the red carpet for extremists who demand and celebrate murder for blasphemy. In what way can this man reasonably be considered a moderate voice? Feel free to remind the next broadcaster or individual that provides Mo Shafiq with air time. You can forget having a chat with broadcasters. The last number of years have made me realise that either all of them (BBC, Channel 4, Sky, ITV, LBC) are either completely stupid in research, just don’t care, or are afraid to drop anyone. And with some, also the chase for ratings comes into it, but doesn’t apply here. And it isn’t limited to this example. The scary thing is that they cannot find anyone else. I would say, in the BBC’s defence, that whilst they are frequently useless on this issue they are also responsible for The Big Questions and Newsnight, the only two shows on which crypto-Islamists and extreme conservative Muslims are actually pushed as to what it is they believe. TBQ in particular is something of a trailblazing show and it was there that I first saw Shafiq decisively unmasked as a nasty little demagogue, along with numerous other shapeshifting Islamic conservatives whose reputations as ‘moderates’ took hits after Nicky Campbell, Maajid Nawaz, Douglas Murray, etc. did their jobs and grilled them properly. Agree with all of this. And the broadcasters did drop Mo Ansar when he was exposed for what he is, so it’s worth doing. Ansar shot himself in the foot with a direct attack (report to the police) on a broadcaster for nothing. I think it was that more than anything else, that focused their minds. Otherwise, I think he might still be there (based on a BBC reply I saw regarding someone making a complaint regarding all of his shenanigans, and the BBC brushing it off completely as if they didn’t care). An absolute disgrace. As a British girl interested in social justice and involved in many such causes, I am sickened to see media outlets promoting people with such a sinister past. Yes, we have Freedom of Expression, but that privilege ends where someone else’s rights begin. Incitement to racial/religious or any other hatred is always forbidden, and Shafiq, any follower of his that posted death threats, and these so-called clerics should all be under police investigation.